Many marketers are focusing on optimizing their websites and social media properties to make them more dynamic and relevant to their audience. Doing that requires creating dynamic content that supports the interests and preferences of their various visitor segments. For maximum impact and return, marketers must go beyond segment marketing and click reporting and create a personal dialogue with each visitor. Behavioral web analytics can fuel this personalization process by providing specific insights about each segment and individual. 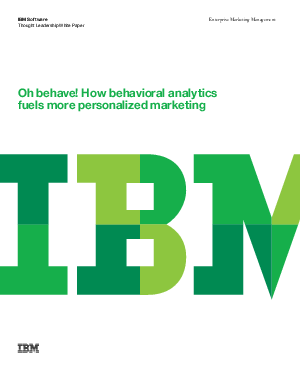 Uncover the gold mine that lies within behavioral data, identify the specific nuggets to mine, and learn how to leverage behavior data to increase marketing returns at every stage of the customer life cycle, both online and offline.